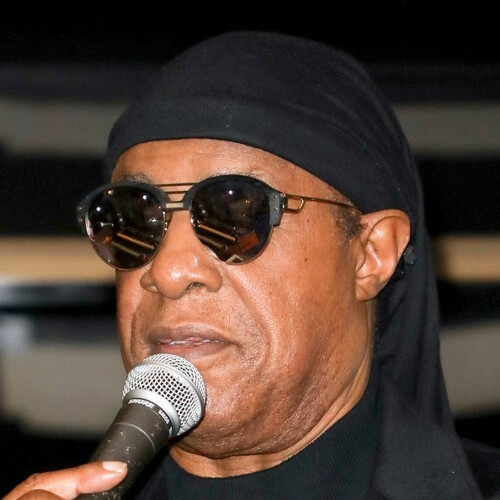 Stevie Wonder used his tribute appearance at Nipsey Hussle’s Los Angeles memorial to call for stricter gun laws as he mourned the tragic rapper’s “unnecessary” death. “It is a heartbreak to again lose a member of our family… because it’s so unnecessary,” the blind musician told the crowd. “We, to be a civilised nation, a civilised world, are still living in a time where ego, anger, (and) jealousy is controlling our lives. Wonder went on to perform his song Rocket Love, one of Nipsey’s personal favourites, and a cover of Eric Clapton’s Tears in Heaven. His appearance would have been a dream come true for the slain star, real name Ermias Asghedom, as he once rapped about Wonder performing at his memorial in the track Ocean Views. A 25-mile procession past the rap star’s Marathon Clothing company in Hyde Park, where Nipsey was shot on 31 March (19), and his childhood home in Crenshaw is currently underway as the tragic rapper’s remains are transported to a funeral home.